BroadcastAds.biz is a new Advertising Network from Broadcastpapers which reaches Content Professionals where they gather online – Association, Society, Event, Social Networking & other related industry web sites. The Content Farm – mini web-sites devoted to new product releases by category or industry news by geography. 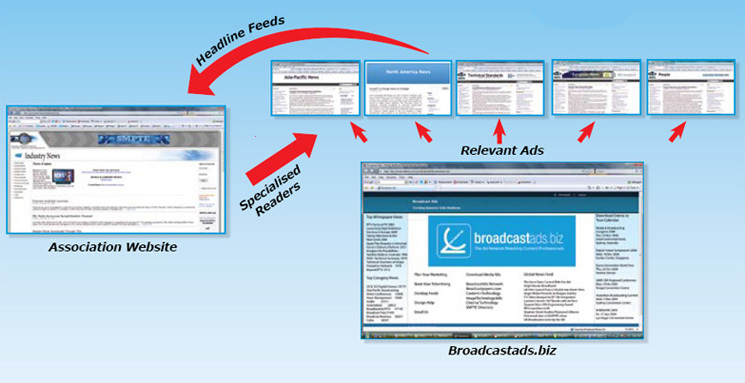 The BroadcastAds Server serves banner ads to the relevant Content Farm site. Part Reuters/Wire Service, part ad server, thee BroadcastAds.biz Network places your message infront of relevant, active industry professionals worldwide. Per Page View Positions are sold and served to web sites on a non-exclusive basis. Serving frequency of individual ads is dependent on total number of ads booked per position. See the BroadcastAds.biz web site for the latest listing.